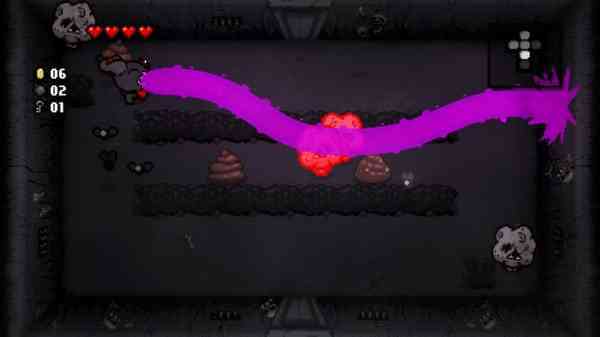 The Binding of Isaac: Rebirth Review – Who Says Religion and Gaming Don’t Mix? 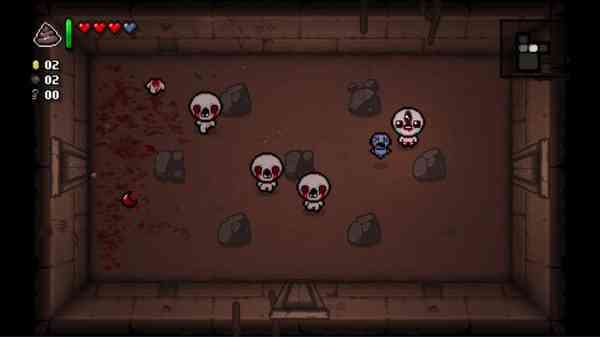 The Binding of Isaac: Rebirth is a remake of the popular PC game “The Binding of Isaac”. While it was certainly generally well accepted in its time, the developers were quoted as being dissatisfied with the game’s look and feel. They promised a reboot in the future, and Rebirth is a delivery on that promise. I’m happy to report that it is every bit as excellent as the original. 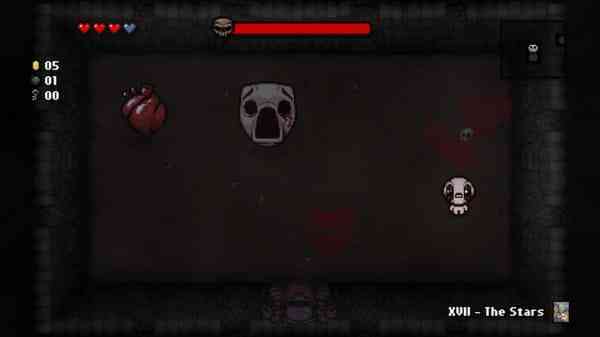 The game puts you in the role of Isaac, a child, who is on the run from his religious zealot of a mother. She believes she hears the voice of God telling her to kill her son, but before she can Isaac dives into a trap door in his room. What follows is a highly psychological game that sees you fighting all manner of nightmarish creatures in the depths below Isaac’s house. The game plays like a top down shooter with some RPG and rogue-like elements such as permanent death, and collection of power up items throughout. Each floor consists of a random power up item which boosts Isaac shots, improves his speed, or provides some other ability to help Isaac on his way down to the final confrontation with his mother and the bosses even further below. 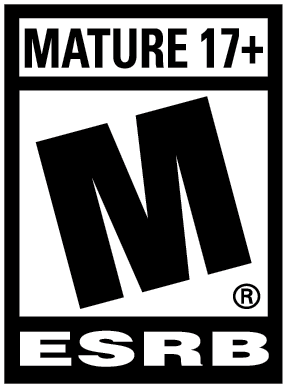 What I really liked about this game was that it featured a lot of replay value. Beating the game for the first time unlocks another set of floors leading to a new boss. After you beat that boss a few times it unlocks more floors, and even more bosses. The narrative is quite good for those who pay attention and in the interest of not spoiling anything I will say the stakes rise with each successful run. So making it to the credits on one of these later runs feels like quite an accomplishment. The game plays smoothly as well. 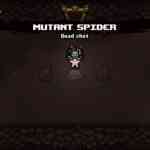 Originally, it was played with WASD moving Isaac and the arrow keys dictating the direction you shot in. This translates well into the PS4 controller with the left hand stick handling the movements and the right one handling the shots. Having said that, if you are coming from the PC version getting used to the triggers for items and bombs takes some getting used to. You may find yourself using bombs when you mean to use your item, but by the time you’ve played through a few times it’ll feel just as natural. I should point out that it can be incredibly difficult, and often frustrating, at times. A large majority of the game is dictated by what is popularly known as a “Random Number Generator” or RNG which means that the items you get, the enemies you face, and even the shape of the rooms you explore are all randomly generated every time you enter them. Why this makes the game difficult is that you are never guaranteed the items you need. A good example is that there were many runs where I needed a key to unlock a door to get my power up item for that floor, but I hadn’t gotten any on any of the floors I had explored up to that point, so I was out of luck for that run. Similarly not all of the power ups are created equal. The item that gives you demon wings and a chargeable laser attack doesn’t really compare to the item that lets you fart on command (humorous but completely useless!). The trouble is that they are both likely to show up when you reach the treasure room for any given floor. While this may seem like a negative, it becomes part of the games charm. This isn’t a game where you are building up your character to battle the end boss and after beating it never playing again. Rebirth rewards you for playing multiple times. Visually Rebirth is phenomenal. It knows its theme, and it uses it to perfection. The dark and moody atmosphere feels genuinely creepy, especially as you get further and further into the depths below. I also feel that it is worth mentioning that every power up in the game creates a physical change on Isaac, so the by the end you look like a walking nightmare. There has been more than one time during my play through where I was tempted to take a screen shot of my absurd character just to show my friends just how disfigured Isaac had become on this particular run. While I was generally very happy with the game, I will say I was a little disappointed with the music. 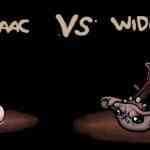 This may not be a fair criticism though, as I don’t like the sound track of this game only as it compares to the sound track of the original Isaac. This game has some strong audio elements, but I really felt like it lacked a lot of the epic scope that the original brought. This was probably the only area I felt was a step back from the original. As a final selling point the game features a roster of over 10 characters. They differ in their stats, but also in their play styles. The large majority of them are visually based off Christian figures, and their play style is based off of RPG archetypes. An example is Samson of Biblical “Samson and Delila” fame. Samson is essentially the barbarian character. He starts with a high amount of health, and as he gets damaged his shot strength goes up. Another example Samson contrasts with is Judas who is effectively the wizard. He starts with only one heart, but he begins with the highest base damage. Every character feels different enough that I never felt like I was bored with the characters that I could play with, and even now with over 15 hours played there are still characters that I have unlocked but never beaten the game with.